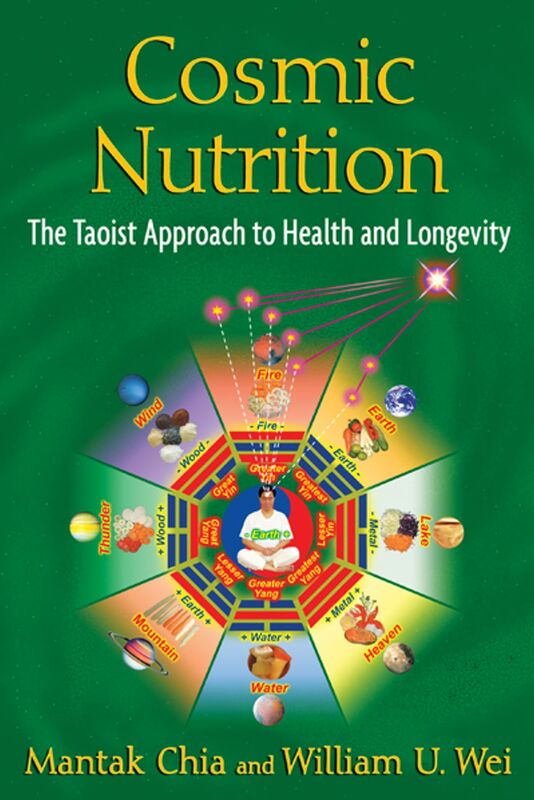 Combining the ancient Taoist principles of yin and yang energy with acid-alkaline balance and metabolic body types, the authors offer complete guidelines on what to eat for different yin-yang constitutions, specific health problems and organ systems, and energetic conditions. They provide an easy-to-follow food combining method for acid-alkaline and yin-yang balance, recipes for healing meals, detailed information on fasting and detoxification, and illustrated guides to several self-diagnostic methods from the East that allow you to interpret your body’s signs before disease manifests. Dispelling the myth of germs as the cause of disease, they reveal the cancerous dangers of too much protein or pharmaceutical drugs. They also examine the life-force-increasing and youth-renewing benefits of powerful “superfoods” such as sprouts and specific vitamins and minerals. The ancient systems of nutritional healing regarded different foods as having different energetic qualities. Just as yin and yang can be observed in a person’s energy, they can also be seen in food. Some foods are considered balancing: they do not have an extreme effect on energy but maintain the center. Other foods have an expanding quality: they expand chi and make us feel lighter. Other foods have a contracting quality: they contract chi, making us feel more grounded. We can understand these qualities better by considering a tree. A tree has a stable center: its trunk. It also has branches that reach upward to heaven and expand their energy out and roots that sink deep into the earth and contract the energy down. We can use this model and apply it to different foods to understand their energetic qualities. Simple carbohydrates, which quickly release their sugars and thus rapidly lift our energy, are the most expansive foods. Complex carbohydrates also give us energy but are released more slowly. Thus they are expansive but less so. Fats and proteins have a contractive effect. They build our cells and have a grounding effect. Physiologically, fats and proteins slow the release of sugars in the diet and thus help to regulate blood sugar levels. The denser the food, the more contractive it is. Some foods are centering; these are the foods that are neither too sugary/refined nor too dense a protein/fat. These foods usually form the center of ancient time-tested diets that are based around both a protein and a carbohydrate. Centering foods are often a mixture of carbohydrates and proteins even within each food. For example, rice is thought of as a carbohydrate, but it does contain protein. Beans are thought of as proteins, but they do contain carbohydrates. Such foods have a balancing and centering effect. These foods create the core of the diet, and then other foods and flavors are used around these staples. Core foods help to maintain our sense of center. This is a very important principle in Taoism and Oriental Therapy. Finding our center is about staying balanced. If we have only extremes in our life, then we become pushed and pulled by circumstances. For example, if we eat only expansive foods we may feel high but ungrounded. If we eat an excess of contractive foods we may feel grounded but depressed and heavy. If we choose one extreme, we will soon crave the other. Thus we become a victim to our own feelings and cravings. This is reflected in the habits of yo-yo dieting and detox-retox in which people swing from a diet or detox program into their old bad habits. In Oriental Therapy we seek to build a strong center. In Taoist Chi Kung energy exercises we put awareness to the Tan Tien area below the navel. This is the place where we store our chi and build awareness. With more awareness in the center, we have a gentle strength and stability and are not so affected by outer circumstances. Building a strong center is an important aim. However, we also need to address any imbalances that occur and restore them, especially when we first start our practice. We have seen earlier how we can become overly yin or yang. A simple way to apply Oriental dietary therapy is to eat a little more of the foods that will rebalance us until we feel harmonized again. Overly Yin = too lethargic, fatigued, cold, slow pulse, etc. Overly Yang = too stressed, busy, hot, fast pulse, etc. Those who are too yin can assist their body with the addition of a few more contractive foods--protein-rich foods and healthy fats (cold-pressed oils, nuts, seeds, etc.). These will build strength and stamina. Those who are too yang can assist their body by eating a few more expansive foods. Eating more vegetables will have a cooling and cleansing effect on the body. Whole grains will assist in the body’s energy management. We all have individual constitutional tendencies: some of us will benefit from eating more proteins, some more carbohydrates. Listen to your body as you adapt your diet and observe how it responds to different foods. Weight problems are an increasing concern in modern health care. In 2005, the World Health Organization (WHO) estimated that 400 million adults were obese. In 1998 the United States spent $78.5 billion on medical costs attributable to obesity. It appears that there is a high cost to our modern consumer society. In Oriental nutrition different causes of obesity are recognized, and thus they are treated differently. Excess weight due to a yin pattern may be due in part to too much water in the body (water is yin), leading to fluid retention and dampness. Foods that will dry up an overly yin and excessively moist body include lightly cooked grains, foods without sauces, root vegetables, fish, and meat. Those with moistness and water retention may also benefit from diuretic herbal teas. Foods that can moisturize an overly yang and excessively dry body include soups, sauces, fruits, and water-rich vegetables.